It’s time to recap on my previous year of geocaching. I have been caching at about the same level for the past four years so there is no big difference there. The main change has been the virtually complete lack of activity in the latter quarter of the year. Even though I attended FAD and a few related caches in Uppsala at the beginning of November (where I had a great time) I still didn’t even manage to find a dozen caches in the quarter. Let’s see if 2018 will be a more active year. The graphs below show my finds performance per month, by type, by difficulty/terrain and by country. My best month this year was April and virtually all of those caches were found on a trip to the Isle of Man where my brother (half of Zelger) came with me for the pleasant trek across the island. Of note here is that I attended my first mega event after over fourteen years of active geocaching. It was, as already mentioned, Fumble After Dark (FAD) which is a darkness oriented event (of course – considering the short number of hours of daylight we get in November). Another item of note is that 20% of my finds were mystery caches! 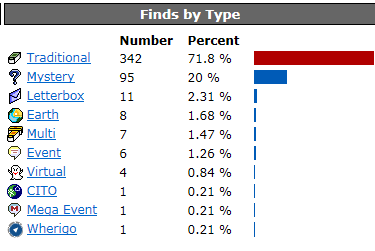 Over the whole time I have been caching mystery caches have accounted for just 8% of the total. 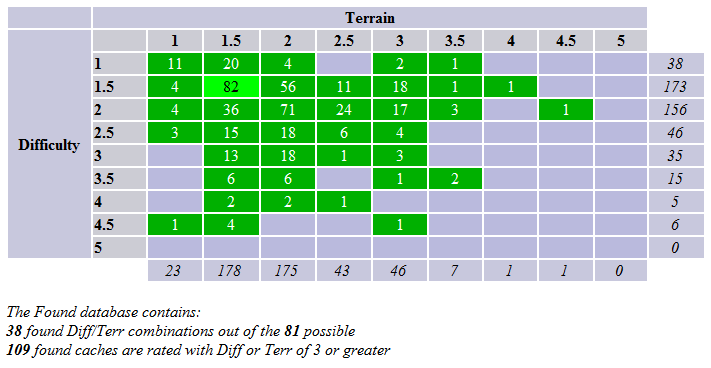 As expected there is a skew to the top left sector of the table and disappointingly no D5’s or T5’s. Even though the majority of the finds were in Sweden I did find caches in two new caching countries, namely the Isle of Man and Albania. Tenerife counts as Spain where I have previously found caches. So that was 2017. What will 2018 bring? Well as I am now in New Zealand I can say that January will probably be the month I have most finds and as I have already solved over 100 mystery caches the percentage for January will no doubt be even higher than the figure for 2017. Comments : Comments Off on 2017 in retrospect. Every year I set targets for my geocaching activities but am finding it more difficult as the years pass. In the early days it was just a case of finding caches for fun. There weren’t so many which meant that whereever I was it was easy to hunt for the handful of caches that there were. As geocaching has expanded both in terms of active caches and active players and through a massive technology development with the ingress of smartphones and a plethora of geocaching apps (some good and some not so good), I have needed to filter out what I will look for. I hate all the poorly presented throw down micros that dominate the game these days. Rant over and back to my goals for 2016 and how well I did. 3. 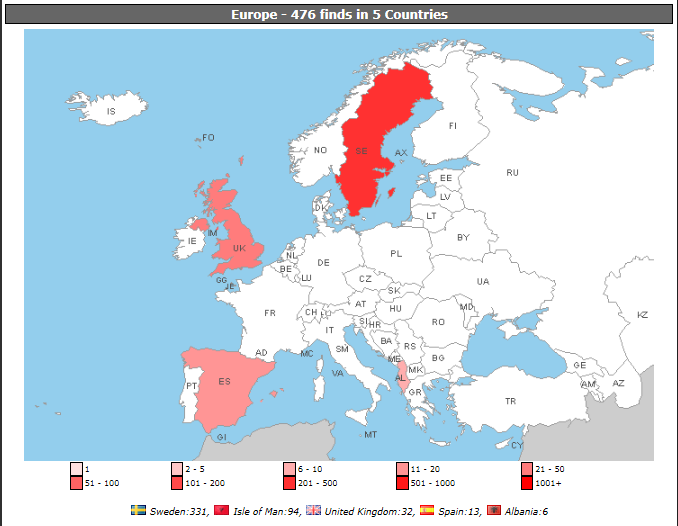 Find caches in at least 3 more countries. 6. Find puzzle caches to complete the A-Z, 0-9 owner challenge. 7. 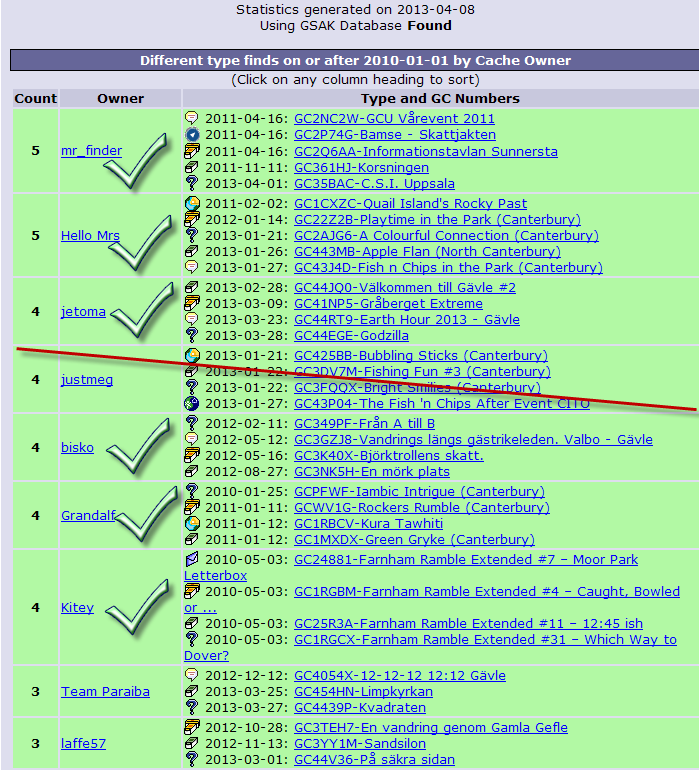 Find ten new D/T combinations for puzzle caches. So, seven targets, TWO passes and FIVE fails. Am I unhappy with the result? Absolutely not as each of the trips abroad more than compensated for not getting up to the North of Sweden and placing new caches is just a day’s work if I set my mind to it. The disappointment I may feel (I don’t) was regarding my targets set around mystery caches. It’s now 2017 and I have new targets that are soon to be revealed. I never thought I would make it! 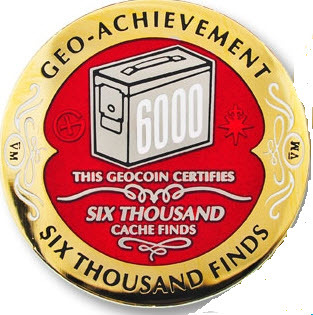 As a form of celebration I award myself a geocoin when I reach a geocaching milestone. The last one was in September 2015 for achieving Platinum Earthcache Master status which entailed placing 3 earthcaches and finding at least 20 earthcaches in five or more states/countries. Finding earthcaches is what I find most fun and I now have found around 150 of them. In addition to that I give myself a geocoin when I reach each 1000 finds and the last one in that category was for 5000 finds and that was in January 2015 at a cache in New Zealand A place for bunnies (Canterbury). Previous to that my 4000th find was in July 2013 eighteen months earlier so I was more or less mentally preparing to find my 6000th cache sometime in July or August this year. I usually spend a month each year in New Zealand geocaching but I gave it a miss this year so instead of finding a couple of hundred caches in January I was down to just three! 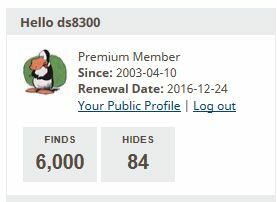 Even October and November have been quiet months so I was stuck around 5980 finds for some time then slowly creeping up to 5996 before finally getting out on Saturday and finding the final four caches needed to reach 6000 finds. 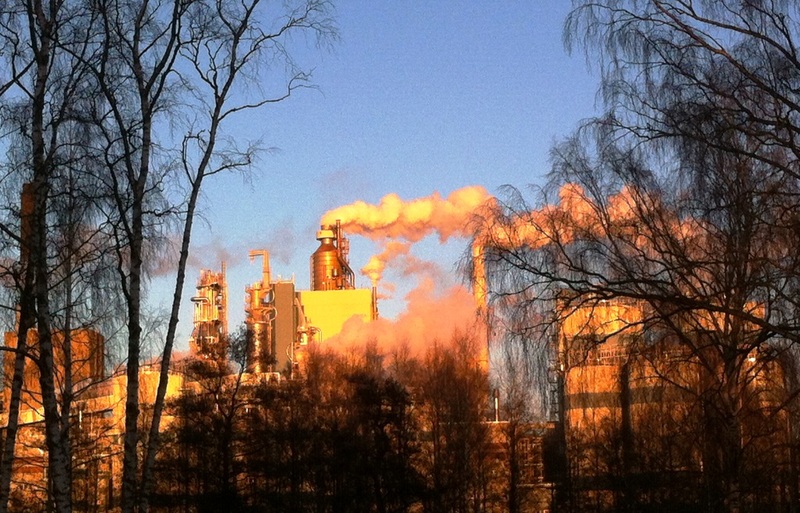 They were all in Virvelvindas Kastsjön series and I started my quest by parking opposite Korsnäs paper mill, which looked quite “beautiful” in the low winter afternoon sun, before walking towards the first of the caches. I had left my beanie in the car and regretted it. The cold wind froze my ears in no time at all as I walked from Kastsjön #9 – sodabrännaren to Kastsjön #8 – granen then on past Kastsjön #7 – två små röda hus to arrive at Kastsjön #6 – utsikt where I expected to find my milestone cache. 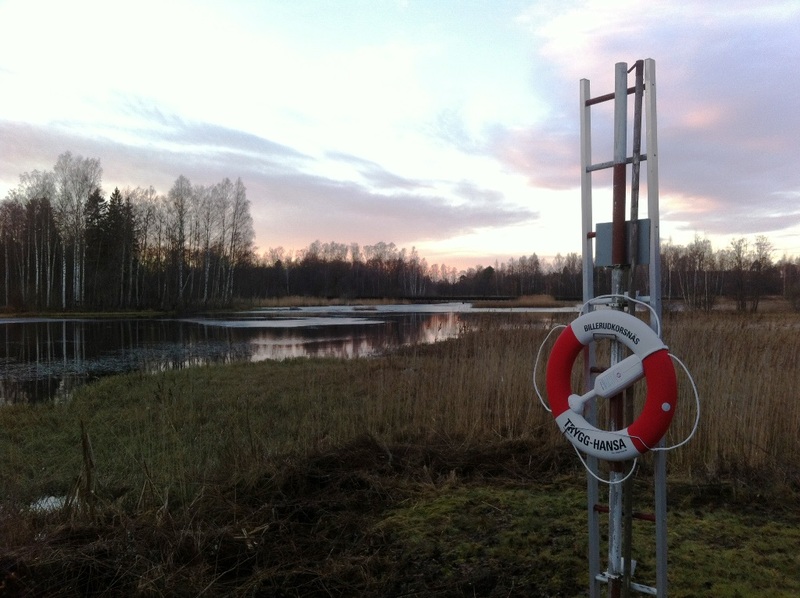 Unfortunately, the cache seemed to have wandered into it’s hidey hole and my fingers were too short to retrieve it so I had to move on to the next nearest cache which was Kastsjön #3 – puls which thus became my milestone cache. The container was quite special and took me back to my early days in Sweden to a job where we annealed these little containers but that’s another story. I won’t post a picture other than of the general location of the hide which was on the old log flume. I was done just after three as the sun started to set. An enjoyable hour out in the cold. One of the fun things about geocaching, apart from being out hunting for caches, is the background work with the statistics. I know I am not alone on this. I also find that having some targets to aim for make the experience more fun. 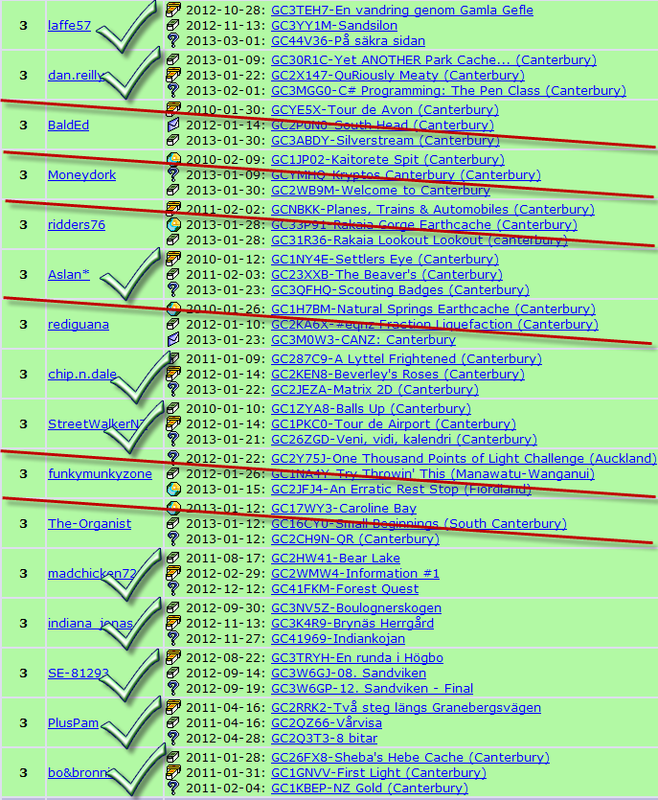 In earlier years it has been easier to add the standard targets that all geocachers seem to have, like finding a cache on all days of the year or all D/T combinations. Once all that is done it gets tricker and more individual. My targets for 2016 don’t differ an awful lot from those of 2015. Can they be met or will I fail again like I did last year? The answer will be seen at the end of the year of course! It was Geocaching Get Outdoors Day on Saturday, August 13 and Groundspeak gave everyone who logged a find or attended an event a souvenir. I’m not sure I see much point in them but for anyone who is a “collector” it is an extra category of items to save as well as the numbers that are kept on the statistics page. For a collector of souvenirs then August will be a busy time as a souvenir is being awarded for logging a find on every day of the month. 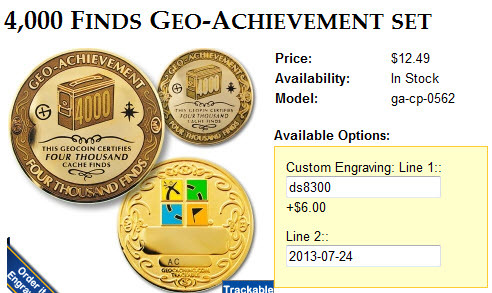 I also believe that there will be a souvenir for International Geocaching day on August 17. I can say right now that I will not succeed in collecting the full complement of 32 or 33 souvenirs even if I had the inclination. I have so few unfound caches close to home so trying to get a months streak of caches would be a chore and I want to keep enjoying geocaching. I guess that if the weather is good then I may manage half. Let you know in September! Ten years after – addendum. Zero degrees and horizontal sleet is what faced us on Saturday morning as we drove down to Uppsala. The main mission of the day, for my partner at least, was to find a pair of shoes for her daughter’s wedding. My mission for the day was twofold; maintain a few of my Upptåg series caches and find two specific caches, more of which later. A couple of my Upptåg caches had got cache creep. The whole series of caches uses film canisters attached magnetically to gantries at the stations. The ones in Skyttorp and Örbyhus had wandered upwards about 5 meters! Either there are some very tall cachers or those who think that T1 or T1.5 means climbing up a pole. Of course, it didn’t have to be a cacher that had moved the caches. It could have been the local muggles with little better to do. Anyway, they have now been brought down where I intended them to be and the ones with the wet or full logbooks have been attended to. 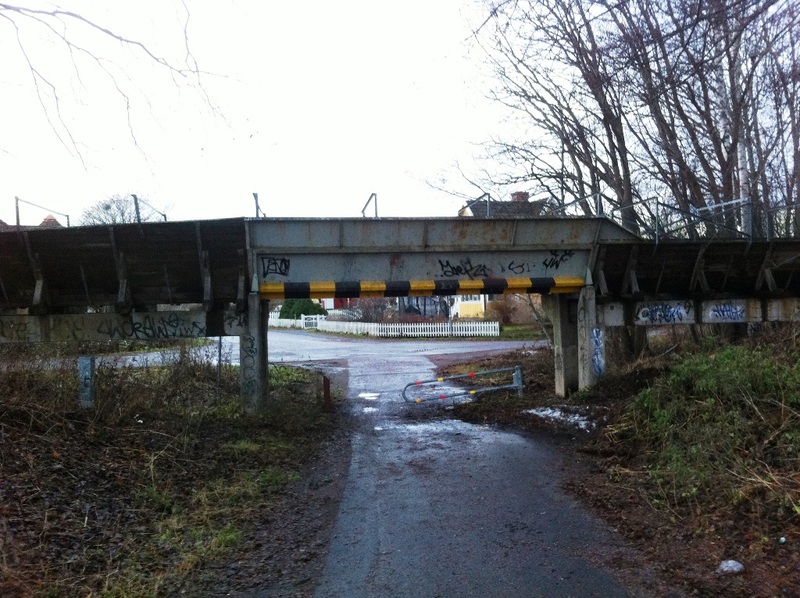 The other, and perhaps more fun mission was for me to find Challenge – 3 olika cacher av 15 Utläggare, not specifically because I could but because the cache was placed on January 17 (2013) and that was the final date I needed for me to get a full “Placed by date” chart. It’s something that has eluded me for a couple of years! Before I went to New Zealand on holiday this year I had two empty dates and had found two appropriate caches that would allow me to complete the grid. However, I got a DNF on the cache from January 17 and it’s been irritating me since then. A couple of weeks ago on my trip to Uppsala with Madchicken72, Slas and Ironhawk67 I didn’t have time to work out if I could find this specific challenge cache, even though I logged a few others, but when I started to see if I could meet the requirements I noted the date it was published . Woohoo! Just what I needed. So thanks to the cachers listed on the screen shots below for placing such a diversity of caches that I could find this Challenge cache and kill two birds with one stone. Of course, the cache I went for afterwards was Challenge #128 – Full Finds by Placed Date Chart The most gratifying part about finding these two caches was that it nicely rounded off my 10 year anniversary of geocaching. It only took me ten years to the day to completely fill in the Placed by date chart. Nice. Comments : Comments Off on Ten years after – addendum.